The monthly payment fluctuates in line with the lender’s mortgage rate. This can cause budgeting problems in times of increasing interest rates. Some lenders offer an annual review so that the amount you pay only changes once a year with the difference adjusting your outstanding mortgage. Lenders may also offer a version where your monthly payment fluctuates in line with the Bank of England Base Rate, often referred to as a ‘Base Rate Tracker’. The monthly payment is fixed over an agreed period of time and will remain the same regardless of whether interest rates rise or fall. At the end of the fixed-rate term the interest rate usually reverts to the lender’s standard variable rate or you may be offered the choice of another product, on the terms available at that time. The lender offers a true initial discount for a given period. At the end of the discounted period, the rate usually reverts to the lender’s standard variable rate. No interest is deferred so the outstanding mortgage will not increase. The interest rate is guaranteed not to go above a certain level throughout the capped rate period, which can be from one to ten years, but you will benefit from any reduction in interest rates. The interest rate will not fall below a certain level for the collared-rate period. These schemes allow you to overpay, underpay or even take a payment holiday. Any unpaid interest will be added to the outstanding mortgage. Any overpayment will reduce your outstanding mortgage. Some have the facility to draw down additional funds to a pre-agreed limit. Lenders that offer any type of fixed rate, discount or cashback facilities to attract custom, usually require the mortgage to stay with them for a period of time to recoup their costs. They do this by imposing an early repayment charge for a given period which can extend beyond the benefit period. They will usually make an early repayment charge if you want to redeem your mortgage early. Early repayment penalties will be charged if you die within the early repayment period so you should consider building this in to the level of life cover you have. You should also make sure that you can afford the standard variable rate that will be charged at the end of the discounted or fixed-rate period. 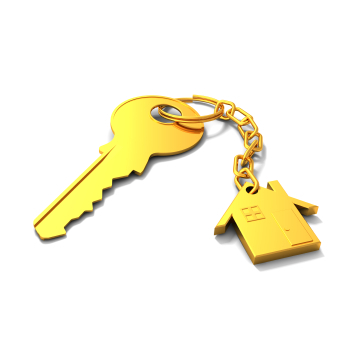 This is for the lender’s own purposes confirming the property provides security for the loan. You may wish to consider one of the more detailed types of survey. This provides concise information in a standardised format on the state of repair and condition of the property. The report will include comments on the property’s defects and the valuer’s opinion as to its marketability. This may be payable either in advance, where the lender will ask you to enclose a cheque with the mortgage application, or on completion. All or part of it may be non-refundable if the mortgage is declined or withdrawn. 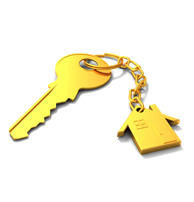 This will be specified in your mortgage Key Facts illustration. Stamp duty is a ‘purchase tax’ and is generally payable where the purchase price of the property is more than £125,000. (Stamp duty is not payable for remortgages). This may apply if the amount you wish to borrow is more than, typically, 75% of the value of the property. The lender may require additional security on the amount in excess of this threshold in the form of an insurance policy (a higher lending charge). This policy is used to protect the lender only and is used to cover the lender in the situation where the property is repossessed and the loan plus any unpaid interest exceeds the sale value of the property. You will then owe the insurance company any payment claimed by the lender. The lender will arrange the insurance and the premium will be paid by you, in some cases it can be added to the loan. Some lenders make an early repayment charge based on the product selected. Others may charge at any time it you pay off your loan before the end of the normal mortgage term. In some cases this can be a significant amount. Always check the terms in the offer letter from your lender. 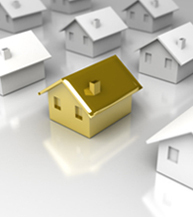 All lenders require that you fully insure the property for the total cost of rebuilding it. It is also strongly recommended that you take out contents insurance. Your adviser can arrange this cover for you. your mortgage and associated payments in the event of being unable to work through accident, sickness or unemployment. Your adviser can arrange this cover for you. Your adviser will explain how he/she will be paid for arranging your mortgage. The exact details will be shown on your key facts illustration.